With Spring just around the corner, thoughts of tropical places and warmer weather have been a constant on our minds. Fortunately for us, when it comes to deciding what music we'll be playing as we kick back, we've already got one track that will be on constant repeat. That's because Princeton's coed a cappella group Shere Khan has given us a video that's full of smooth singing and one laid back vibe. 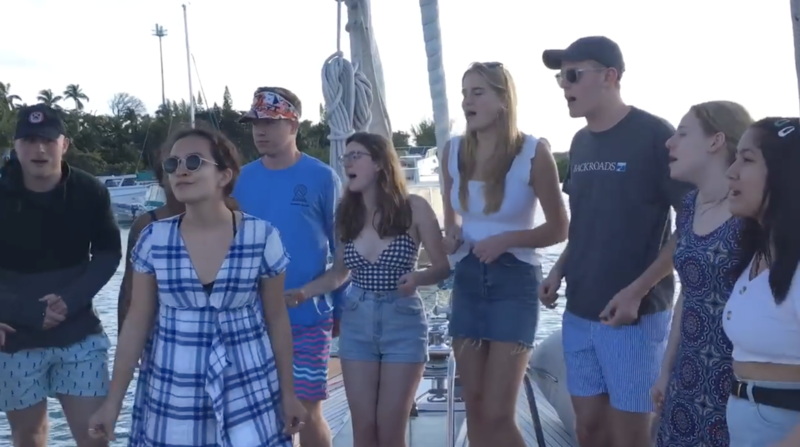 In a recent travel to the Bahamas, the vocal band took the time to record a soul satisfying rendition of Lake Street Dive's "You Go Down Smooth." And let's just say that the group hits all the right notes, from the chill harmonies, to the mellow beat, all the way to the gorgeous backdrop. Honestly, how many groups can say that they performed on a boat at sunset? In the nearly two minute long video, Shere Khan delivers a relaxing cover that's ripe with light and airy vocals. Every bit of the performance just shouts chill, which in other circumstances can be a bit lacking, but works magnificently in the group's case as it warms your soul and dances majestically on the ears in the best way.